How can you organize your life with cloud computing? What’s the best way to stay organized in “the cloud”? The cloud is a term that has become widely used when discussing today’s tech. However, many individuals and businesses don’t fully grasp what that term means, as the concept can be a bit vague. The cloud isn’t a single service or physical locations. Rather, it refers to a network of servers or data centers that provide useful services, including data storage and processing. As cloud-based services can be scaled to accommodate millions of users at the same time, the servers used to propel them are a lot more powerful than a single personal computer. One big misconception about “the cloud” is that it’s a technology used for data storage. While storing data like documents, videos, and pictures so they are accessible on any device with an Internet connection is one of the most popular uses of cloud computing solutions, it’s far from being the only one. Other useful things include business endeavors, like project management, and personal uses, such as online calendars, to-do lists, and personal budget apps. The term “cloud computing” is rapidly growing in popularity today, as it encompasses all the various uses of the cloud and isn’t limited to just storage. Staying organized and managing tasks allows both individuals and businesses to work efficiently. Without them, things quickly get disorganized, productivity drops and doing the same tasks takes a longer amount of time. The fact that technology has made our world more interconnected than ever before greatly helps with organization and task management. There are plenty of apps taking advantage of the latest cloud computing solutions that can be used to keep us on track. These apps are used by businesses of all sizes, ranging from one-man startups, all the way to Fortune 100 enterprises. However, they can also be used by private individuals to organize their personal lives. All of this is possible thanks to the power of cloud computing. Storage is one of the oldest uses of the cloud and remains highly popular today. With cloud-based storage services, you can keep all your important data saved remotely. This allows it to be retrieved in any location with an Internet connection. Today’s cloud data storage services work with a variety of connected devices like PCs, smartphones, tablets, gaming consoles, smart TVs, media players, etc. Having access to your data anywhere is highly convenient for those who travel a lot. All the information you need will always be quickly accessible whether you’re retrieving personal or work data. OneDrive – OneDrive is Microsoft’s cloud-based storage solution. You can use it to upload files, like documents and photos to the cloud and share them with other people. Dropbox – Dropbox is more than a file storage solution. Rather, it’s a cloud-based workspace system that allows easy collaboration between individuals located anywhere. This makes it perfect when working together on business projects with people in different locations. Google Drive – Google Drive is one of the most popular cloud-based file storage services in the world. It lets businesses and individuals upload files to share with others or to have a backup copy of locally stored data. Many of today’s platforms offer solutions ideal to manage work projects and personal tasks. Project management software used to be complex and expensive, limiting it to medium and large enterprises. But thanks to cloud computing solutions, it’s now available to everyone. Many of the top project management platforms have gone from offering just desktop software to having a platform in the cloud, providing software all types of customers can use, ranging from individuals to enterprises. Project management software allows you to break down bigger projects into actionable elements and to assign these elements to the right people. It enables a high-level collaboration by giving you central reporting, a clear overview of how your project is progressive, plus a standardized workflow and pipeline. While project management software is often used in the business world, it has a lot of value for individuals. You can use it to manage personal tasks, by having an app that is a more versatile version of a “to do” list. Many project management platforms are free for small teams of just one or two users. Office 365 – Office 365 includes the Microsoft Project app, which allows you to keep your teams, resources and projects organized. You can also enjoy a variety of other software included in the suite, such as Word and Excel, to accomplish common work-related tasks. It’s a full suite with several new apps, so take your time to learn how to use them. Google Drive – Google Drive can help keep your projects moving forward thanks to its cloud-based data sharing abilities. You can collaborate on a single document with many users from all over the world. Trello – Trello is a highly flexible web-based project management platform developed by Atlassian. It lets you collaborate efficiently and get more done in less time. There’s a basic edition available, which is completely free to use forever. Staying on top of your finances and finding opportunities for savings isn’t always easy. Before computer-based accounting tools became commonplace, businesses had to either hire an in-house accounting team or use a third-party provider. Thanks to the cloud, accounting solutions are available that let you manage your finances on your own from anywhere. Cloud-based tools integrate with other software and platforms, such as your online banking and brokerage accounts. You can use them to manage things like invoices and expenses, billable time, create reports and a lot more. Many providers of cloud-based accounting solutions give you a support service that you can use to get professional advice whenever you need it. They’re also highly secure and can be used for both personal and business finances. Cheqbook – Cheqbook is a cloud-based accounting solution designed with the needs of small to medium-sized businesses in mind. It automates many tasks, such as invoicing and categorizing transactions, to save you time. QuickBooks – QuickBooks is made by Intuit, a company that has been making a variety of accounting and finance software tools for several decades. It’s the top-rated small business accounting software in the world and comes in various editions for self-employed people and small to mid-sized companies. FreshBooks – FreshBooks is an accounting platform for small businesses. It offers a variety of useful features, such as time tracking, invoices, expenses and can integrate with a wide range of other online apps, such as e-commerce shopping cart platforms, to make tracking your business finances easier. Flexibility – Cloud-based solutions are often more flexible than hosting software on an on-premises server. High Security – Companies maintaining cloud-based services take security seriously. This is why applications running in the cloud have several layers of security designed to keep your data safe from unauthorized access. Mobility – You can access your data and use the software from anywhere. Many cloud-based platforms have mobile apps that let them be used on mobile devices, besides a desktop or laptop PC. Insights – Apps in the cloud can process huge amounts of data and making sense of it. They can provide you with summaries and reports when useful. High Quality – Cloud services are built with high-quality standards in mind, thus reducing errors when working with important data. Sustainability – The cloud eliminates the need for paperwork and travel, as it offers a powerful virtual collaborative environment. This results in important environmental benefits. Always Up-to-Date – Cloud-based software is automatically maintained by the developers, eliminating the need to manually download and install updates. Application Development – Developing applications becomes easier, as cloud-based tools have preloaded code libraries and galleries that are kept always up-to-date. SaaS, IaaS, and PaaS – Software, infrastructure, and platforms as a service. This saves costs and makes technology accessible to practically anyone. Backup and Recovery – When you upload data to the cloud, it can be accessed and retrieved from anywhere. This keeps it safe in case local media is damaged or if a file is accidentally deleted. Analytics and Productivity – Cloud software runs on powerful servers capable of working with large amounts of data at once. This can give you a clear overview of your business processes and let you see where you can clear bottlenecks, fix problems and get rid of inconsistencies, thus boosting your overall productivity. Do you need to get organized? Start by organizing your days and how you spend your time. Perhaps you need to schedule the time to overhaul your bookkeeping or your project? 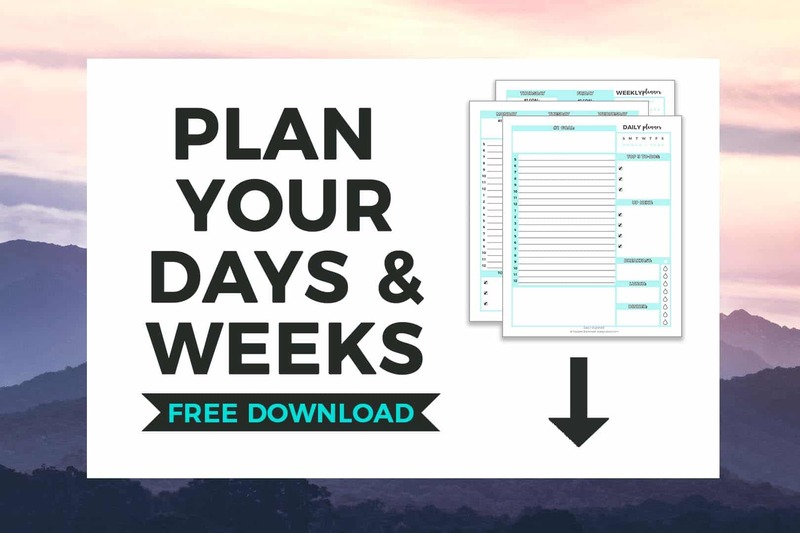 Sign up below to get the FREE Printable Daily and Weekly Planners. Cloud computing solutions provide us with various ways to organize our personal lives and business activities. They can be used to store data securely, manage tasks and projects, help with accounting activities and much more. As technology progresses, a greater number of businesses and personal tasks will be carried out in the cloud from any Internet-enabled devices. What’s your favorite cloud computing solution? 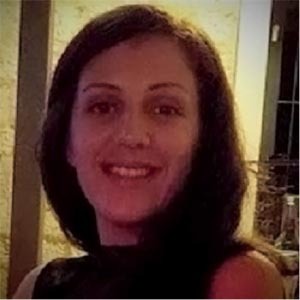 Heather Redding is a part-time assistant manager, solopreneur and a writer based in Aurora, Illinois. 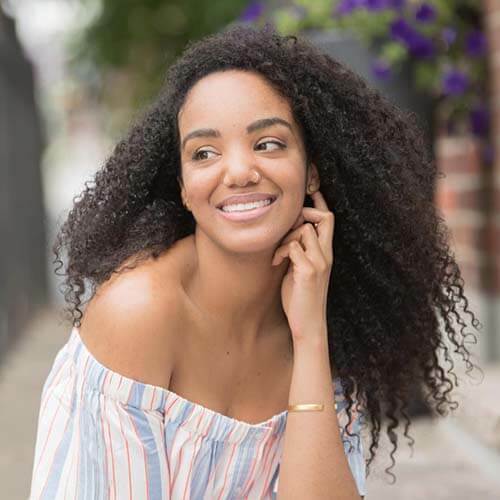 She is also an avid reader and a tech enthusiast. When Heather is not working or writing, she enjoys her Kindle library and a hot coffee. Reach out to her on Twitter. Hey Marya, there’s always SOMETHING to learn new about the cloud ;). But like you, once I started using it, I got hooked. Now I cannot imagine my life differently. this whole post is so informing & interesting to me… I honestly only thought of it as a place where data is stored lord only knows where… but now you’ve given me so many other ways to use it! That’s the beauty of it, Nakeya. You only save your file once, and it’s available from any device. The connectivity is what thrills me the most about cloud computing. Great article! I really need to get a system to store all of my work somewhere else. The process seems so overwhelming! This really helped! It’s actually pretty simple once you get over the “fear” of it all. Cloud computing can seem scary and difficult, but most programs have great training available. I am not that tech savvy but this is quite informative. Might use some of this to get myself a little more organized. I so advise it! I love the cloud. It’s perfect when you have multiple devices or if you like to be able to always access your documents – no matter where you are. I get you, Holly, constant upgrades are a nightmare for everyone, but I guess you just get used to them. Knowing I can access all my files instantly wherever I am give me enormous pleasure though. This is great advice. I love google drive and use it for everything. I wished my company used it instead of microsoft products. Cloud storage is so awesome for group projects and big files! I keep everything backed up on a physical hard drive but I also use a subscription cloud service for sharing and dowloading/uploading between work devices! Yes, it’s perfect for collaborations! I found that I kept buying hard drives for more space and that cloud storage actually worked out cheaper and way safer in the end. Few weeks ago, my bag was stolen with my phone inside. All the photos I took and the notes I’ve written on it vanished as well. Since that day, I make sure that everything I do is saved on the cloud or on the internet. So thank you so much for that kind of posts, it’s really life saving! I wish I knew it before losing my phone! Hey Mihoki, sorry to hear about your phone. I learned my lesson and the value of cloud storage differently – I used to save everything on the computer (like “normal” people do 😉 ) until I needed to reinstall Windows. Dealing with tons of data was daunting. Now all my personal files are online, ever recipes 🙂 and I couldn’t care less about repairing or getting a new device. It gave me such freedom. Google Drive and Trello are hands down my favorite ways to stay organized. I love that I can access them from anywhere and bring collaborators into select sections and documents as well. I am in love with all things Google, so much so I’m changing over all my devices to Google. I can’t live without either. Great for keeping blogging and work organized. I am a big fan of cloud storage, and with a 11 terabyte Dropbox I feel confident that I can store anything life tosses my way, LOL. WOW, that’s an incredible amount of space! DropBox is probably my favorite. However, I do use GoogleDrive and a couple of other options that are not listed. I can’t live without Dropbox! I love how easy and seamless my file storage on and off my laptop is. Click of a button and it’s uploaded. 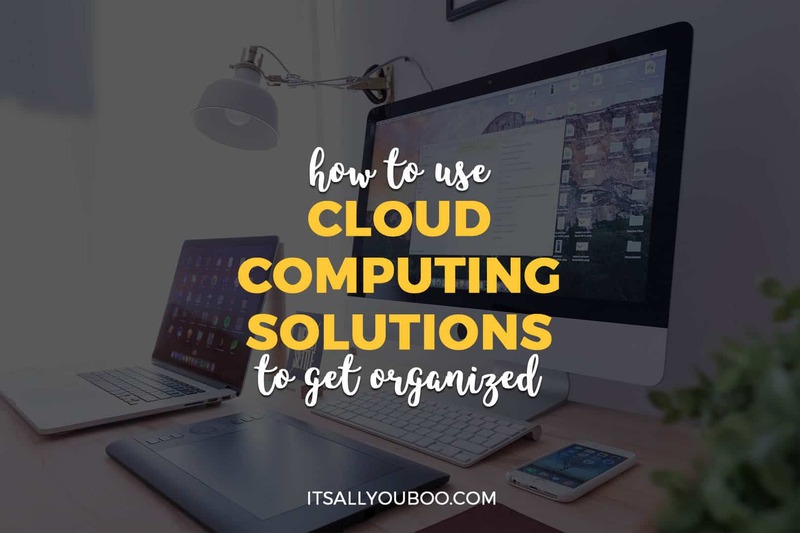 I didn’t know all this about cloud computing but this is a very helpful post for anyone who wants to know. Good one! Glad you’ve found it informative, Deepa! Cloud computing is really powerful and amazing tool for anyone. Hope you check it out! I am a DAILY Google Drive and Trello user. I’m not sure where my business or my clients would be without them! This is a really comprehensive collection of tools- bookmarking! Love it! I am all about Asana personally, but Google Drive is my life. So much so I’ve started purchasing strickly Google devices. It’s just so easy! Dropbox and Google Drive are two of my favourites for storage and file sharing with collaborators. This is such a useful posts and I’m glad to have learned some new features and advantages to cloud services. You and me both! They’re such great tools for cloud computing. Thanks for sharing, I did not know much about the cloud and all the other terms. Glad you’ve found this post helpful! Get to know the cloud! I’ve never thought of Google Drive as a cloud, but I use it daily for work and love it. I need to figure out the Apple cloud though–no clue how that one works. You’re a pro at cloud computing then! Personally, I’ve found that iCloud isn’t really worth figuring out. But, that’s just me! This is very informative! I have been trying to get organized digitally, so I am so glad I have stumbled upon this post! 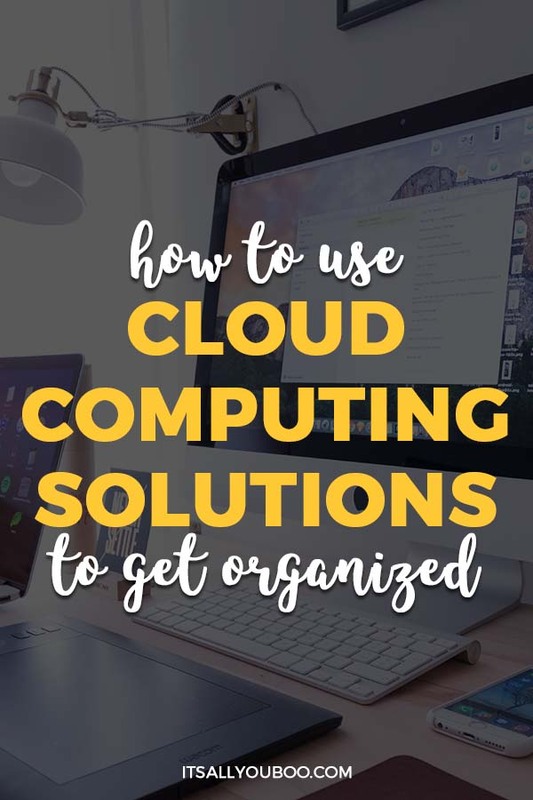 So glad you’re embracing cloud computing to keep you organized. It is interesting how Cloud computing has invaded our lives even without we realizing that we actually use it on a daily basis 😀 Informative article! Right? It totally just snuck up on us. But both I and my hard drive are happy for it.